You know what they say: there’s no ‘sects’ like Street Sects, and the streets of Europe are going to get very ‘Sectual’ in April. The Austin-based industrial noise-punk prophets of negativity will tour in support of last year’s The Kicking Mule album in a 12-gig, 12-day run; proving they like to tour as intensely as they sound. 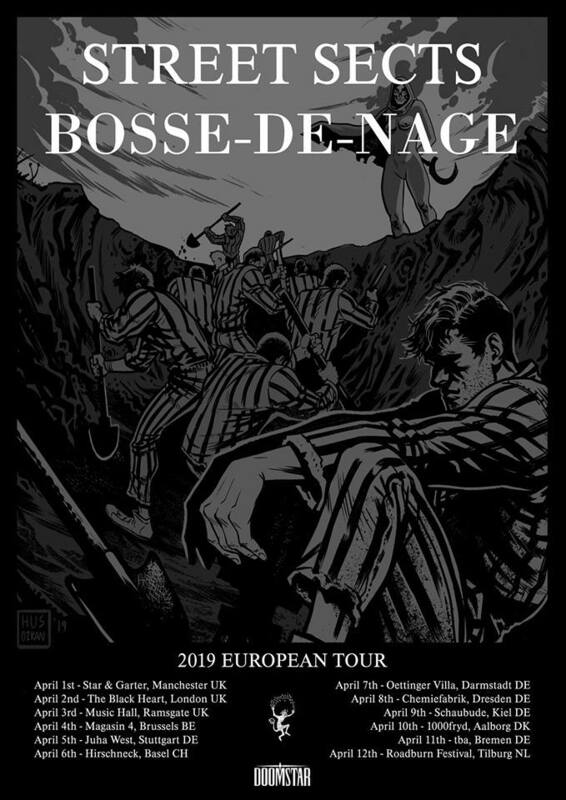 San Francisco-based post-core blastbeat-mongers Bosse-de-Nage will also play. The two bands have equal-sized billing on the tour poster but it is not known if they are co-headlining or if Street Sects will play last every night. Consult local venues and Doomstar Bookings for ticket information (and in the case of the Bremen gig, check social media to find out the venue at a later date). Previous PostBetter Than Mending - "Desire Lines"